We are proud to announce that Design Action Collective’s poster, “Unity is Power”, was selected by a panel of judges as the Akonadi Foundation 2010 Racial Justice Poster. “Unity is Power” was the product of a successful and dynamic collaboration between Design Action, Causa Justa/Justa Cause, and Inkworks Press. Earlier in the year, Design Action and Inkworks Press chose the Bay Area housing and immigrant rights organization, Causa Justa/Just Cause, to be the recipient of the inaugural People’s Poster Project, in which Design Action would work with a grassroots social justice organization to design a poster to serve as an aid in their campaign work, and Inkworks Press would donate the printing. Design Action and Causa Justa/Just Cause, a dynamic, multiracial, working class membership organization which now spans Oakland and San Francisco, collaborated on messaging and then went through a number of rounds of design. 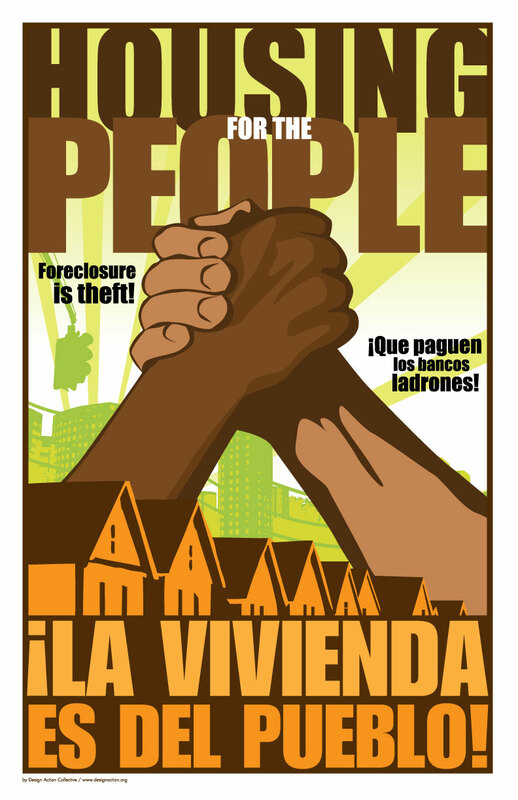 The outcome was the “Unity is Power” poster, which speaks to Causa Justa/Just Cause’s work of defending working class people’s access to housing as a fundamental human right. Initially Inkworks Press donated 1000 copies of the poster to Causa Justa / Just Cause for use in their campaign work, and now The Akonadi Foundation will print the poster and distribute it to racial justice organizations across the country, as well as to foundations and other allies, as well as contributing prize money to both Design Action Collective and Causa Justa / Just Cause.